Harga Motor Piaggio Vespa GTS, GTV here is the average price of the Big City Like: Jakarta, Bandung, Medan, Surabaya, Semarang, Makassar, Denpasar from various stores and authorized Dealers. This Scooter type motorcycle brands come from Italy, the parent company is Piaggio. During its development, the Vespa is not only marketed in Italy, but also in demand in France, England, Germany, Spain, Brazil and India. 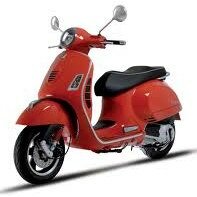 Because consumer interest is so large, the Motor Vespa is also in produced in Germany and England.